Sjostrom Construction of Hayward, Wisconsin builds excellence. 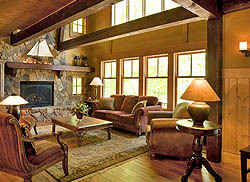 In business since 1972, Sjostrom Construction specializes in vacation homes on Hayward Area Lakes but will also build commercial properties and residential homes as well. Owner Jack Sjostrom’s building interests come from a long-time established, family business. Both his father and uncles were also involved in the trade and built many homes in the Hayward, Wisconsin area. Each home is built as if it were their own…their care and attention to detail is unmatched. Jack Sjostrom has been involved in the local, state and national builders associations throughout his career and feels that involvement in these organizations is of the utmost importance.He was President of NABA in 1994, voted Builder of the Year in 1994, 1997 and 2004, a state director for 14 years, National Director for 12 years and has held various committee chair positions. At the state level, Jack was the Northwest Area Vice President of the WBA in 1999, Senior Office from 2000-2005, Build Pac Committee and Chair of the Finance Committee, and serves as WBA Life State Director. Jack was inducted into the Wisconsin Builders Association Hall of Fame in February 2004, and chosen Wisconsin Builders Association Builder of The Year 2005. 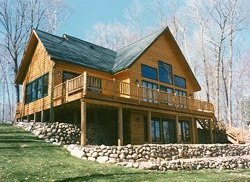 Whether it’s your Northwoods retreat, family home or business, let Sjostrom Construction’s professional staff work with you to make your dream a reality – one that you can enjoy for years to come.